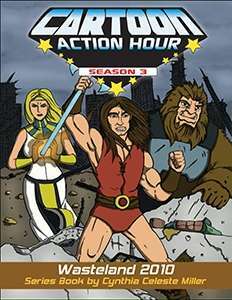 Spectum Games has just released the newest setting for it phenomenal "Cartoon Action Hour" roleplaying game. I've rarely spoken of CAH before but it is a system I am a huge fan of ... just one that I don't have the time or the players for. Wasteland 2010 is very obviously a homage to Thundarr the Barbarian one of the greatest cartoons to be born out of the 1980s. I've only had the chance to quickly skim the pdf but from what I've read I've greatly enjoyed. Now if only I could find a group! I like how it's dated for 5 years ago. Awesome! Thought that was cool myself.